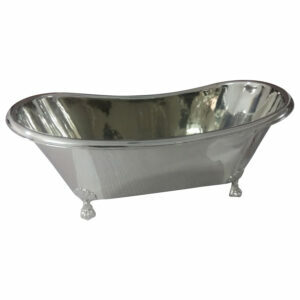 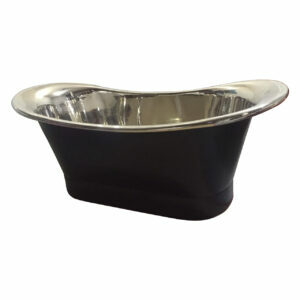 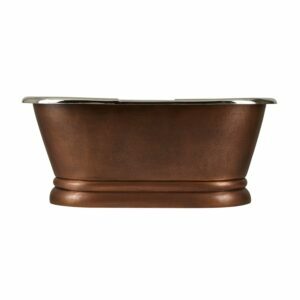 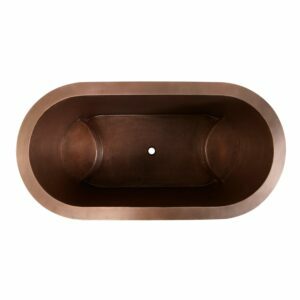 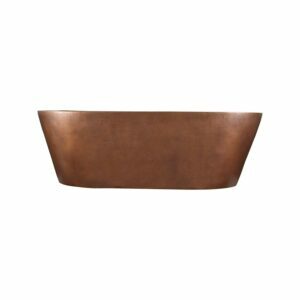 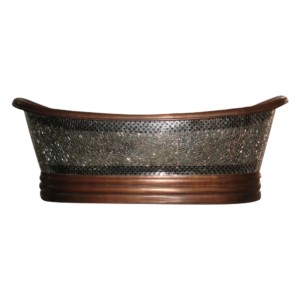 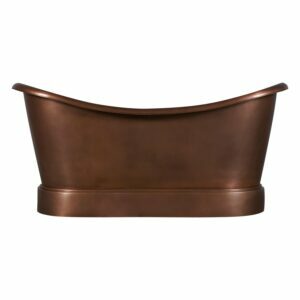 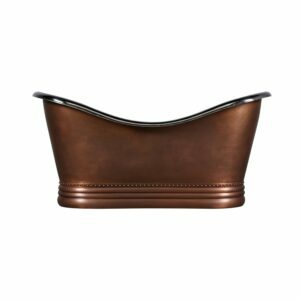 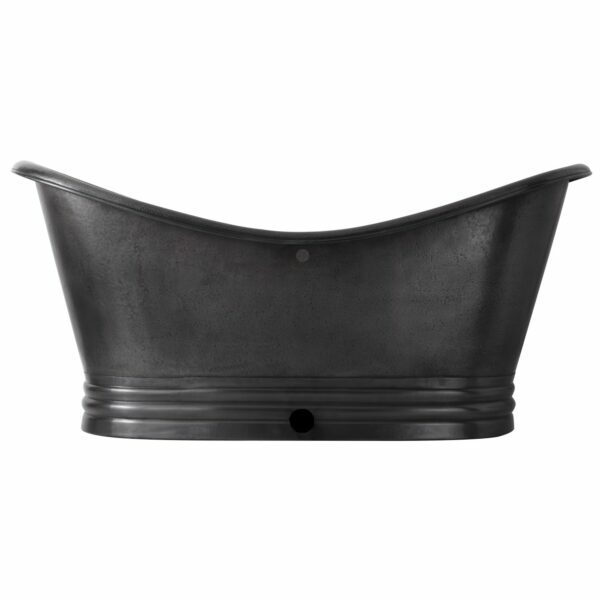 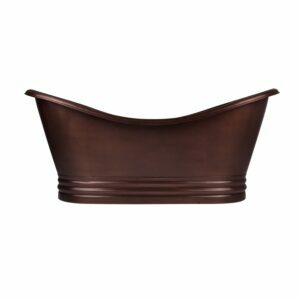 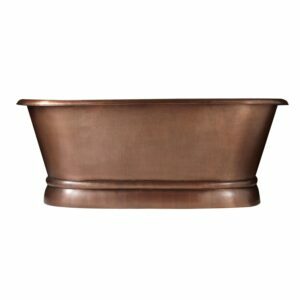 Soak luxuriously in this spacious 71″ Hammered Dark Antique Copper Tub on Plinth. 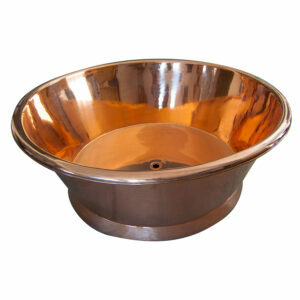 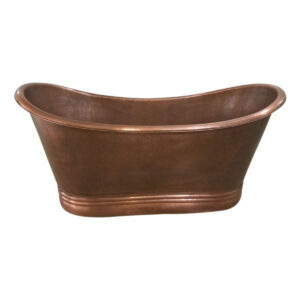 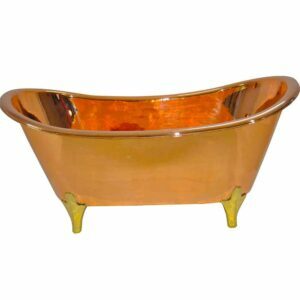 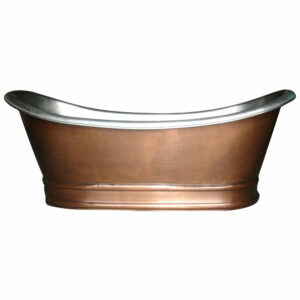 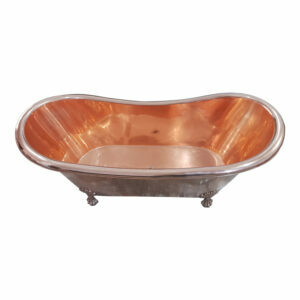 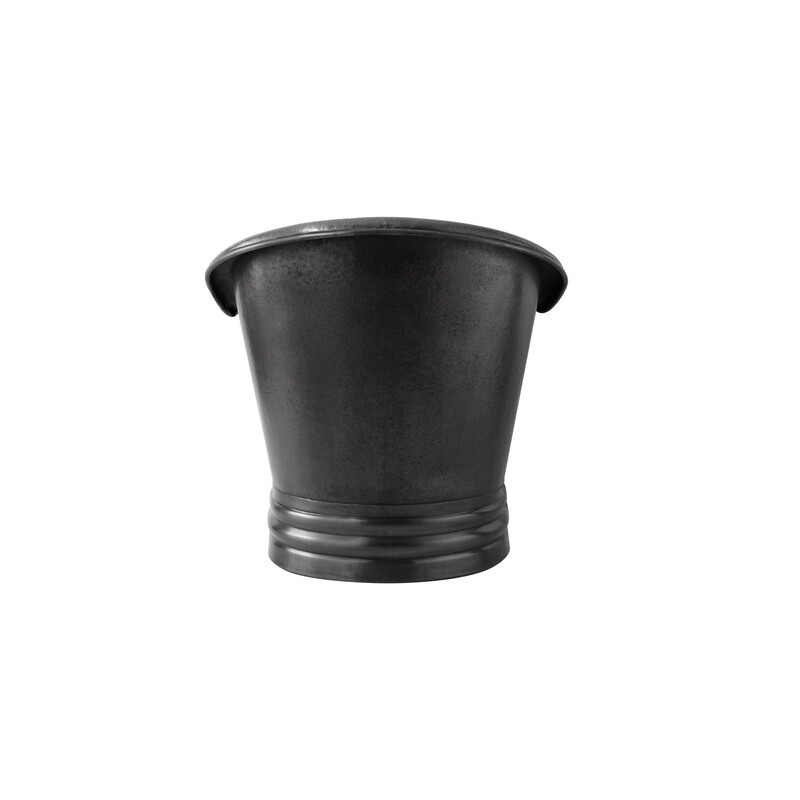 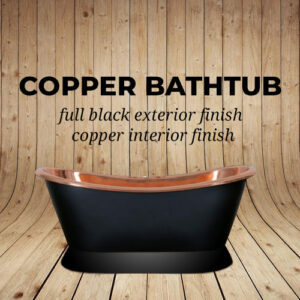 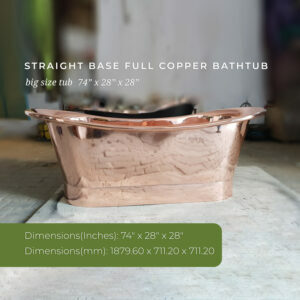 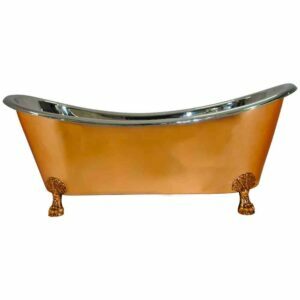 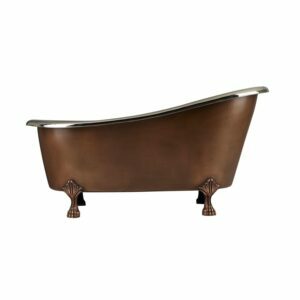 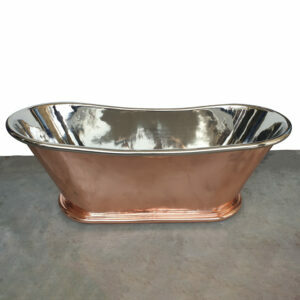 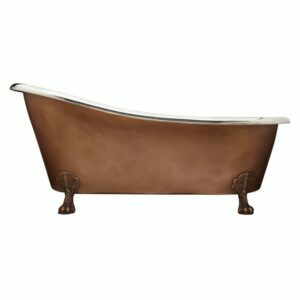 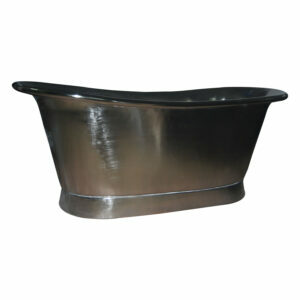 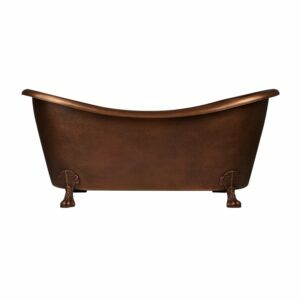 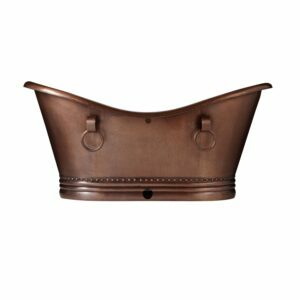 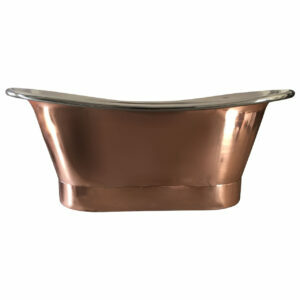 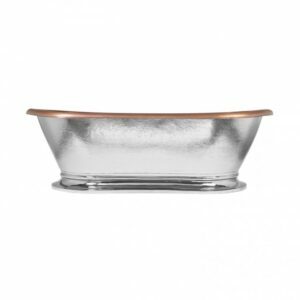 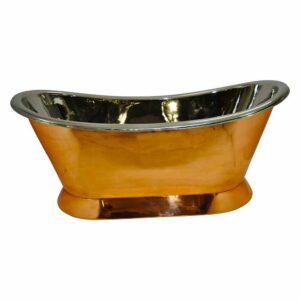 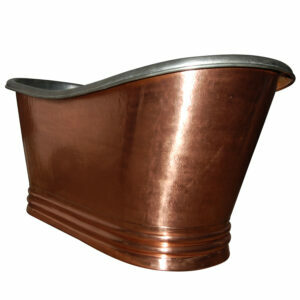 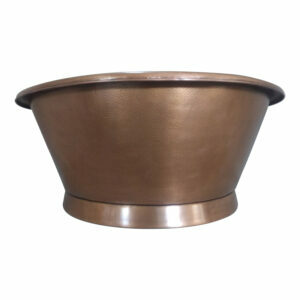 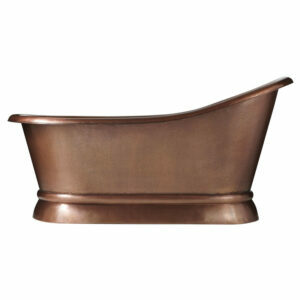 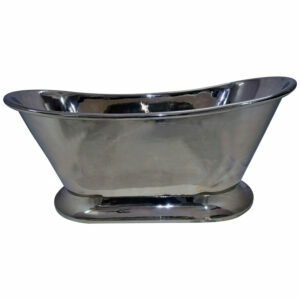 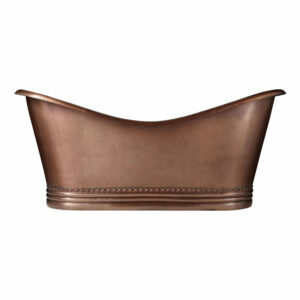 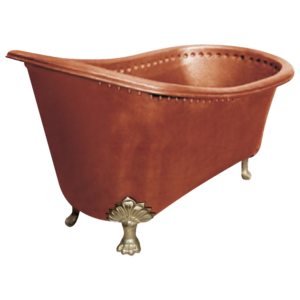 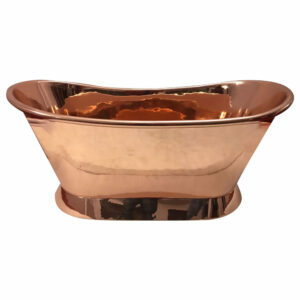 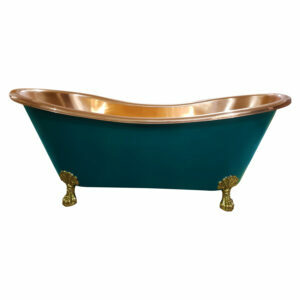 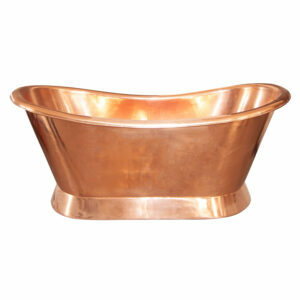 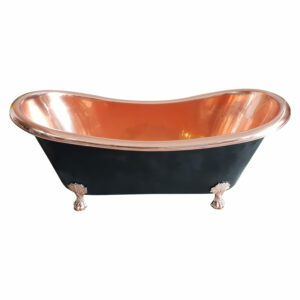 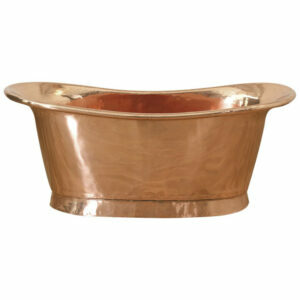 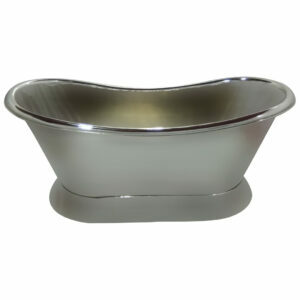 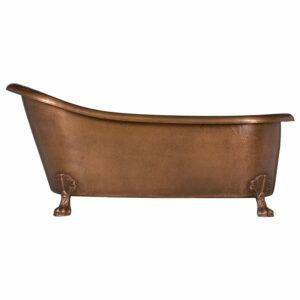 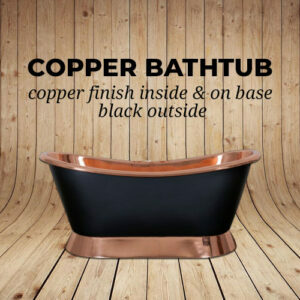 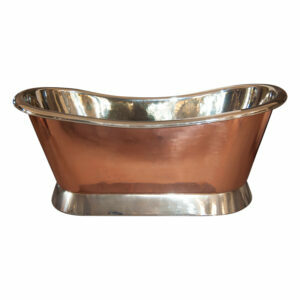 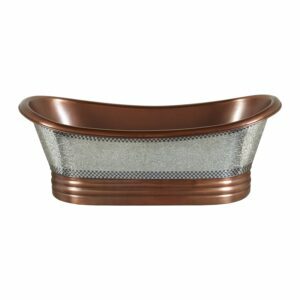 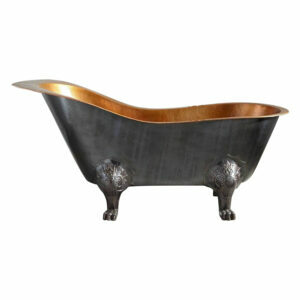 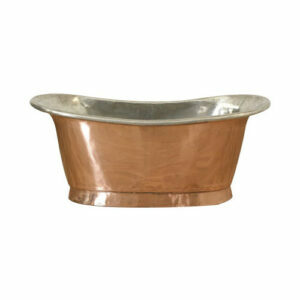 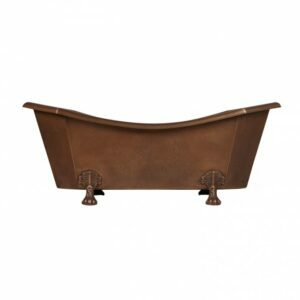 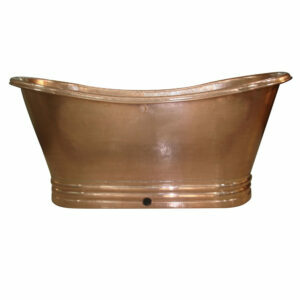 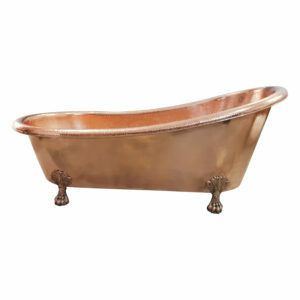 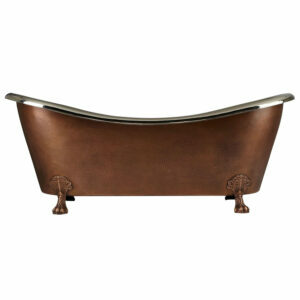 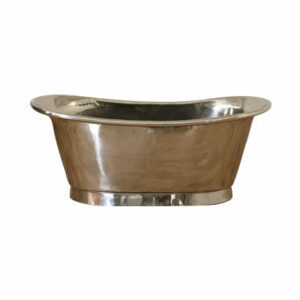 This copper tub has a hammered surface with a sultry Dark Antique Copper finish. 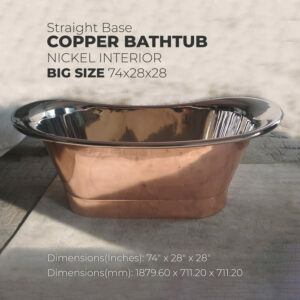 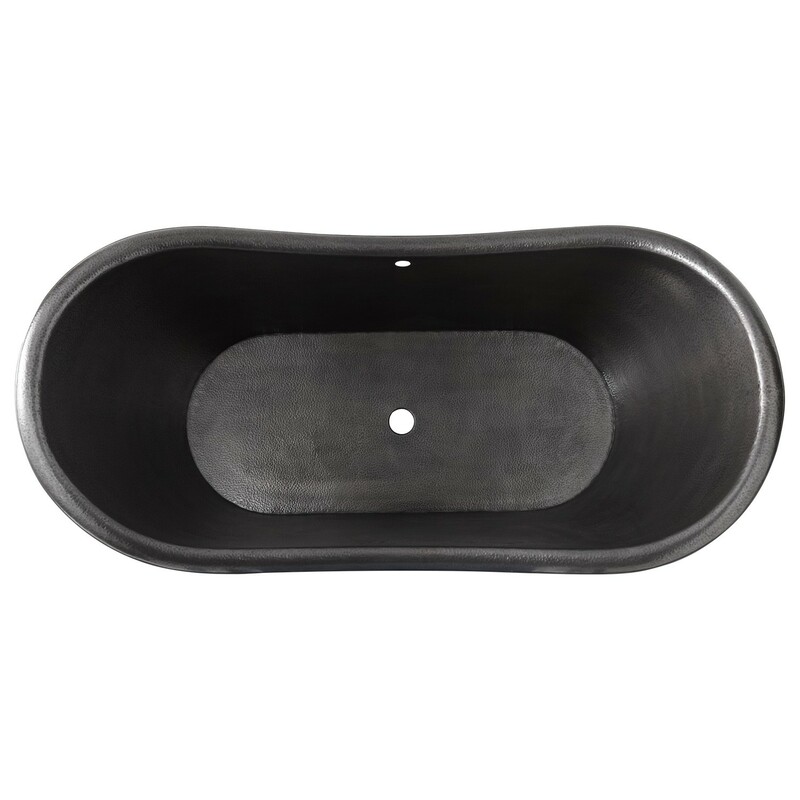 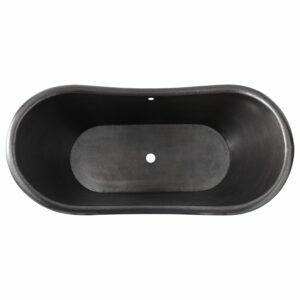 Pair with a freestanding tub filler or wall-mount faucet. 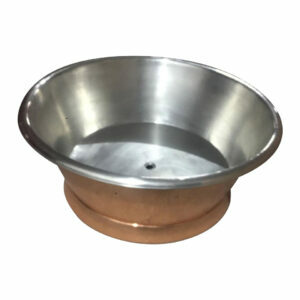 Water capacity with/without overflow: 67/79.